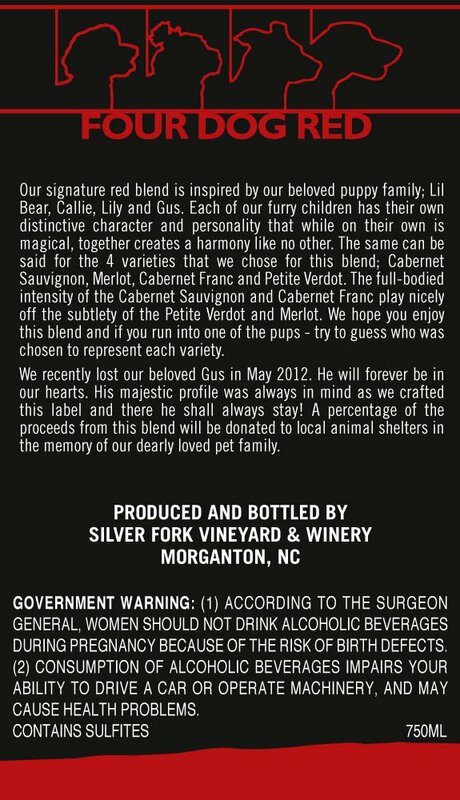 Our signature red blend is inspired by our beloved puppy family; Lil Bear, Callie, Lily and Gus. Each of our furry children has their own distinctive character and personality that while on their own is magical, together creates a harmony like no other. 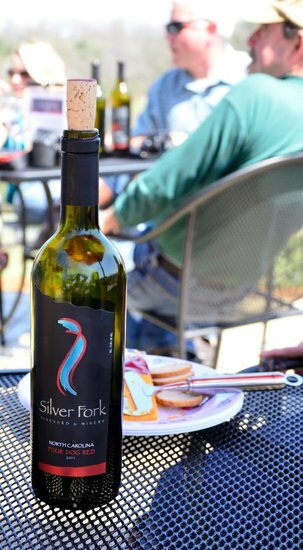 The same can be said for the 4 varietals we chose for this blend; Cabernet Sauvignon, Merlot, Cabernet Franc and Petite Verdot. This medium bodied wine has aromas of raspberry and currant. Pairs well with everyday food from spaghetti to steak and of course, your furry four-legged friend by your side. *Portion of sales of Four Dog Red will be donated to local animal rescues.